The status of those bringing this case appears to indicate that media copyright holders are ready to step up their pursuit of any addon or hardware developer which they believe facilitates the breaching of their copyright. A complaint was formally filed with a California federal court earlier this month. The named parties on the suit reads like a who’s who of movie corporations and includes Universal, Columbia, Disney, 20th Century Fox, Paramount, and Warner Bros., as well as Amazon and Netflix. Taking on the might of such organisation would be daunting for even the biggest of corporations never mind a small-time tech manufacturer like TickBox. For their part, Tickbox has denied that their TickBox TV box is in breach of the law, stating that it is “100% legal because it does not directly host or download any of the content that its users can access.” This is thought to be the first time such as case has been brought in the USA, so it will be a fascinating one if TickBox can find the means the to fight it. But if they do contest the filing, they will be playing a high-stakes game. The group of Hollywood companies are seeking US$150,000 for each proven instance of copyright infringement. Should TickBox lose the case, this means they would face financial penalties of many millions of dollars. A change of focus from copyright holders? 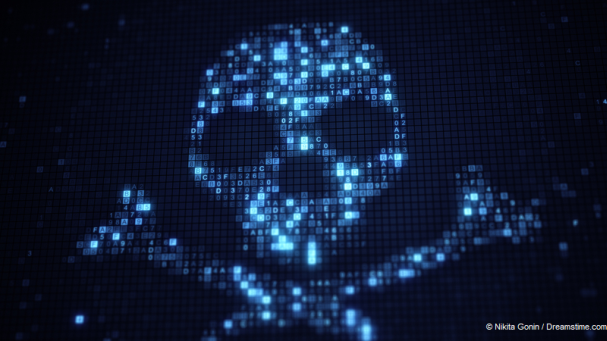 The case suggests that the focus of copyright holders right now is on the manufacturers of Kodi boxes and hardware which allows users to download unofficial addons and use Kodi to stream online content, some of which is illegal. Earlier this year, the focus appeared to more on the developers of these unofficial addons, which possibly suggests a change of approach. Not that the legal cases against copyright-infringing addons are going away. TVAddons, a popular Kodi repository which used to host several unofficial addons which breached copyright (but no longer does) is still facing a charge brought by the US broadcaster Dish Network of three counts of copyright infringement in a Texas District Court. This case was brought into the spotlight earlier this week when the official Twitter feed for the developers of Kodi tweeted them saying “We hope you lose in court” in response to a TVAddons tweet arguing that if they lose the repercussions will be felt by the whole Kodi community. It is well known that Kodi has nothing to do with any of the unofficial addons that can be used on their software and that it despises their use for accessing copyright content, which they believe has damaged the name of their product. But it is nevertheless not that common for Kodi to go public in their criticism in quite such a blunt manner. This particular Twitter spat goes to illustrate the deep divides in the Kodi community as the media big-guns goes after unofficial Kodi developers. And while the latest legal attack may be on a hardware developer, there seems to be a determination to try and stamp out anything linked to Kodi which could conceivably be used to access copyrighted content. For Kodi users, this means that no matter how you are accessing media content, there are risks involved. This is why it is so strongly advised to use a VPN with Kodi at all times. A VPN hides your identity when you are online and encrypts all of your online data. This minimises the risk of legal repercussions should you access any copyrighted content. And while the one place the legal focus does not appear to be at the moment is on individual users, they have been targeted before and no doubt will be again.